uLoaded with the new UX redesign Elements! We just added an updated and improved Knox jacket. Standard: SHELL 100% 2ply Cotton High Twist Double Yarns. 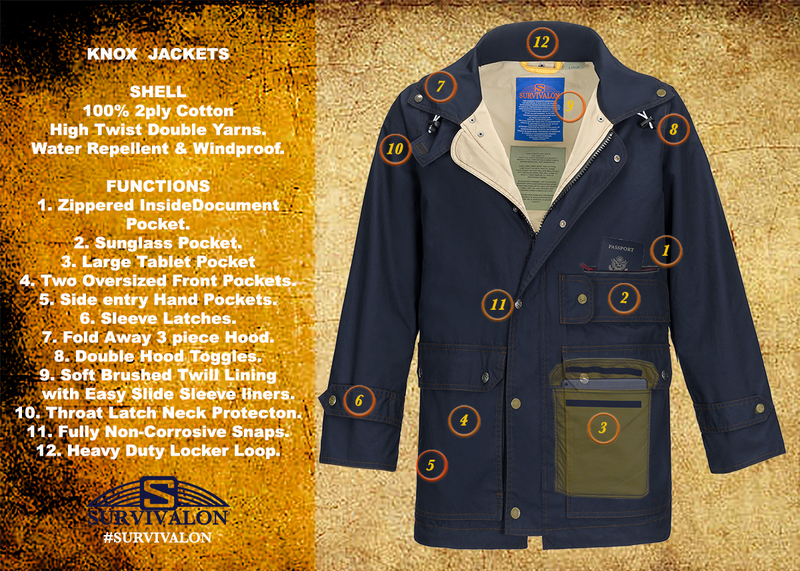 Water Repellent/Windproof/zippered Inside Document Pocket/sleeve Latches/fold away 3-piece hood with toggles/throat latch neck protection/fully non-corrosive snaps/heavy duty locker Loop. New* Oversized Front pockets/Side entry Hand Pockets. New* Soft Brushed Twill Lining/Easy Slide Sleeve liners.